Hope he can stay healthy, he has tons of potential. There hasn't been any draft eligible players worth a selection the last 2 years due to injuries, dumb issues (see AJ Johnson), or overall talent level. Rival staffs can try to spin it however they want but that's just the facts. If the 3 juniors had not returned they all would have been drafted. 6-7 Tennessee players will be drafted next year. Then the fact that Tennessee threws the ball 37.5% out of all plays from scrimmage while UGA threw it 40.2%. Now that was with a bad qb for UGA and Dobbs the vol's heisman hopeful in the preseason. So the volunteer coaching staff doesn't let real facts get in their way and you know rival staffs will and should use real facts against them. 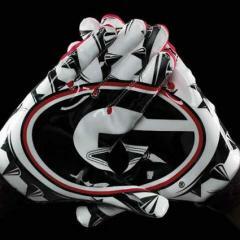 Also with Chaney and Eason we will be throwing it quite a bit. It's going to impress a lot of wrs. BTW you coming down for the game this year in athens? if so would love to meet ya and do some tailgating. yeah same here.. that was his issue in high school and why a number of teams backed off him. i hope he does well in the nfl. It is a fact, but I don't think it is on that will damage Tennessee to much or make it seem like they are not capable of coaching players up. I agree that spin is dumb. We are a run first team right now and that's no secret. I do believe we will shift to a more balanced offense after this upcoming year. Dobbs is just not a very effective passer right now (that may change this year) and with him, Hurd, and Kamara we should be running more than throwing. Yeah man I will be there for sure. Actually last year I moved down to GA for a job. I am in Lawrenceville right now. Should be a fun game to watch for sure. I'm really interested in seeing how Justin Fuente does at VT.
RIP Pat Summitt, truly a GOAT in the coaching world. 38: Seasons Summit spent as coach of Tennessee. It was the only school where she coached. 38: Postseason tournaments Summitt qualified for. Check the math and you'll realize: She never missed the postseason. Before women's basketball was recognized as a Division I sport, in 1981, UT made the postseason in the Association for Intercollegiate Athletics for Women. 22: The age Summitt was hired when she began at UT in 1974. 1,098: Summitt's win total. They are the most of any college coach in Division I history. When she reached 1,000 wins, on Feb. 5, 2009, she was the first collegiate basketball coach to ever do so. She finished with a win percentage of .840. What makes Summitt's run so amazing is how she did not compile so many wins against mostly bad teams. More than 25 percent of Summitt's victories came against NCAA tournament competition and/or teams ranked in the top 10. And 47 percent of the games she coached came against ranked teams. She won 72 percent of those games. 504-48: Tennessee's record at home from 1974-2012, an astounding win percentage of .913, which is the best over a span of more than 30 years for any college basketball coach at any level. 458-69: Summitt's record in the SEC, a win percentage of .869. 32: Combined number of Summitt's SEC titles: 16 in the regular season and 16 league tournament crowns. 8: Summitt's number of national titles. 7: Summitt's number of NCAA coach-of-the-year awards. 6: Summitt has been inducted into six halls of fame. She was initiated into the most famous basketball hall of fame, the Naismith Memorial, in 2000. 21: The number of No. 1 seeds Summitt earned. An NCAA record. 112: Number of wins in the NCAA tournament. An NCAA record. 18: Number of Final Four appearances. An NCAA record. 15: Number of national title game appearances. An NCAA record. 20: Of Summit's 38 seasons, 20 of them featured 30 wins or more. The figures redefined success at the women's college basketball level, and have only been matched, or approached, since by UConn's Geno Auriemma. 63-4: Summitt's record coaching against international competition. Summitt played for the U.S. women's national team in 1976, which won a silver medal. She coached the women's national team in 1984. That team won gold. In doing so, she was the first American to ever earn an Olympic medal as a player and then coach an American team to the podium. 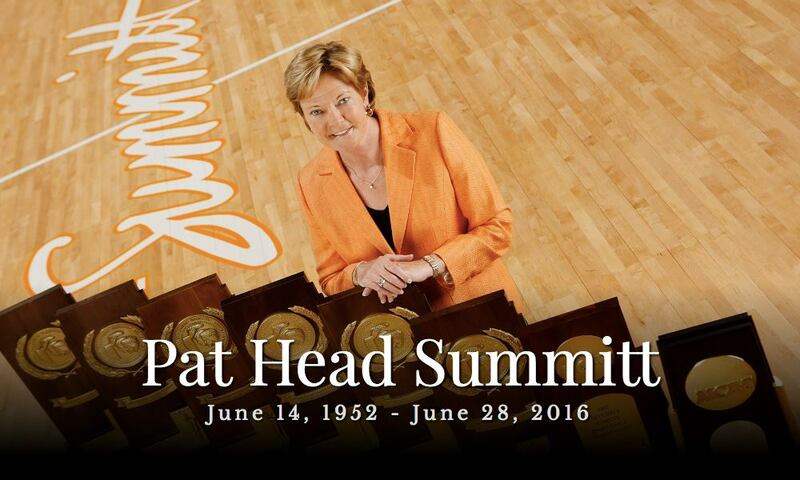 30: The number of consecutive NCAA tournaments Summitt made, starting in 1982 and ending with her retirement in 2012. That is an NCAA record for Division I basketball. Tennessee reached the second weekend of the tournament every year during that span, save 2009. 2012: In 2012, Summitt earned the honored distinction of being awarded the Presidential Medal of Freedom. The only other people with direct ties to basketball to receive the honor: Bill Russell, Dean Smith and John Wooden. 0: The number of losing seasons Tennessee had in Summit's 38 years there. Not only that, but only twice did Tennessee take on seasons with more than 10 losses. Simply astounding. 100: The graduation rate for Summitt's players who completed eligibility at UT. In addition to this, Summitt produced 34 WNBA players, 21 All-Americans and 39 all-SEC players. Lost a great one. Sounds like it was as peaceful as could be given the circumstances, so hoping her family and Vol Nation are now able to remember and reflect on all the great things that she did and accomplished. Truly a great ambassador for sports... not just women's sports. Always had tons of respect for Pat Summit. Indeed one of the greatest ever. RIP Pat. She was truly amazing!! A legend! What an impact she had on others. As a UGA fan and when she was a coach. I always chalked up a loss. 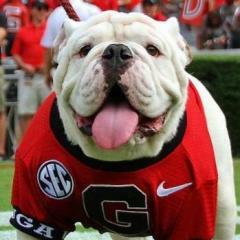 UGA won some but she was amazing. The SEC women basketball is different without her in the league. Thank you Pat Summitt, RIP. Former UT Safety Brian Randolph has a good shot at making the Rams roster, in my opinion. More importantly though, RIP to Coach Pat Summitt. She represented all that was right in Athletics. The World just lost a really great person. Thoughts and prayers to her family, friends and countless former student athletes.Her legacy will live on forever. 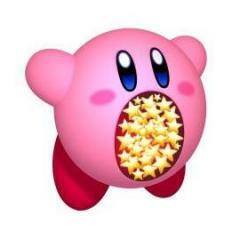 Saw this on 247. Didn't get all of it. But this is the main part. I think everyone pretty much figured this is what was going to happen. Sounds like "hush money" to me. I'm hoping that a change at the Athletic Director position will happen soon. Dave Hart lucked into Butch Jones (he was set to hire Charlie Strong, but Strong turned him down) then screwed up big time on the Donnie Tyndall hire, but hopefully Rick Barnes will add stability to the Basketball HC position. Although I don't currently have any links to back it up, I've heard that Hart has had difficulty working with women in the past. 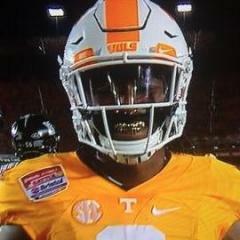 As far as Butch Jones goes in this situation, he probably could've handled it better, but he did kick AJ Johnson & Michael Williams off the team quickly after hearing of their accusations. I'm not sure if Drae Bowles accusations of Jones calling him a "traitor to the team" are accurate or not. someone who knows the parties involved in the case against the vol's said one of the requirements was the stepping down of the chancellor as well as setting up a group that is supposed to make sure this doesn't happen again. we will see if that actually works. this was really what was expected to happen by most.. with what went down at baylor and some of the accusations in this court case tennessee wants this to go away as quickly as possible. they do no want their coaches on the stand and they don't want this to be in the news anymore than it has to. everything i have heard says that tennessee really screwed up and did violate these victims rights and the coaching staff had some involvement in it. however now with the settlement they will make sure everything is sealed and nothing else gets out. this is now the 3rd case tennessee has had to settle since the fall of 2014 totally over 4 million dollars. One thing I will disagree with is 2.4mil isn't exactly hush money. It looks more like the accusers knew they couldn't afford to drag this out and offered up a very generous settlement offer. tennessee knows very well they do not want this to linger any longer and made concessions needed in order to get them to accept their settlement. tennessee had a lot more to lose and they did not want their staff to have to be on the stand nor did they want the media coverage any further. this looked very bad especially considering all the attention on this after what happened at baylor. it was smart for tennessee to push for a settlement. i said when this first came out that tennessee would settle because it's a lose lose for them. they don't get anything having their dirt exposed even more publicly than what is already out there. when they agreed to have the chancellor step down and the other concessions such as a group that is going to be hired so this doesn't happen again at the university (it's sad that a lawsuit has to happen so that females who are raped are treated fairly by the university, it's quite pathetic) it was clear some real change was going to happen. it's really a big win for the group that sued and future tennessee female students and for tennessee it ends publicly a nasty situation that would have only gotten worse. I think it will lose some players for them but overall. The university made the settlement to go on. As for Baylor, that university is hurt for a while because at least 12 players have left with nothing coming back. We do not know what infractions the NC double do nothing will do to them. Finally, do we see Ole Miss getting more even after their self imposed infractions. I believe all three should get a punishment but I will always say when you hurt human life then that is more than improper benefits. JMO. Hush money might have not been the best description for the money paid. Something I do hope, not just at UT, but at ALL University Campuses is that the sexual assaults and violence stops. It's a shame that they had to create a group to try to prevent sexual assaults from happening, but hopefully it's effective in stopping the bad things from happening. Are you planning on going to the game? I'm going to watch it on TV, but I'm still definitely looking forward to it. I don't know what to expect out out of Virginia Tech. I'm planning on going to the Falcons season opener vs the Bucs the following day.